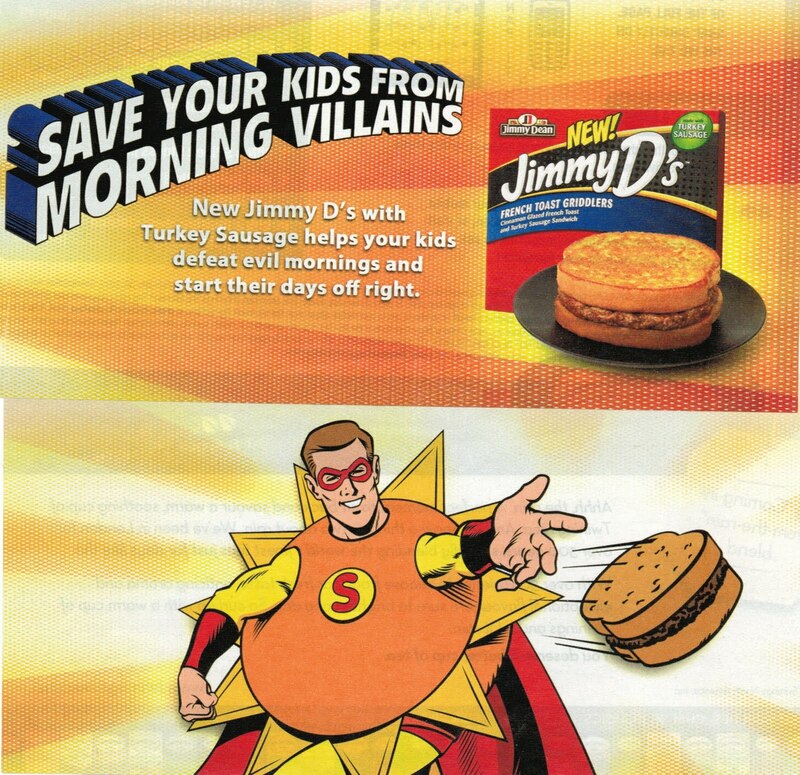 Weighty Matters: Badvertising: Jimmy D's French Toast Griddlers sure sound like villains to me. Badvertising: Jimmy D's French Toast Griddlers sure sound like villains to me. Didn't Batman and Robin fight French Toast Griddlers? These dastardly turkey sausages sandwiched between pieces of French toast epitomize the very essence of what I see as Frankenfood - highly processed muck slapped together that eliminate the need for cooking and beautify lowest common denominator nutrition. 54 different ingredients culminating in an admittedly it could be worse 1/3 of your child's total daily recommended sodium intake. Buying into the notion, and in so doing, teaching your kids food comes from boxes and that cooking's for suckers. How difficult is it to actually make an egg sandwich?